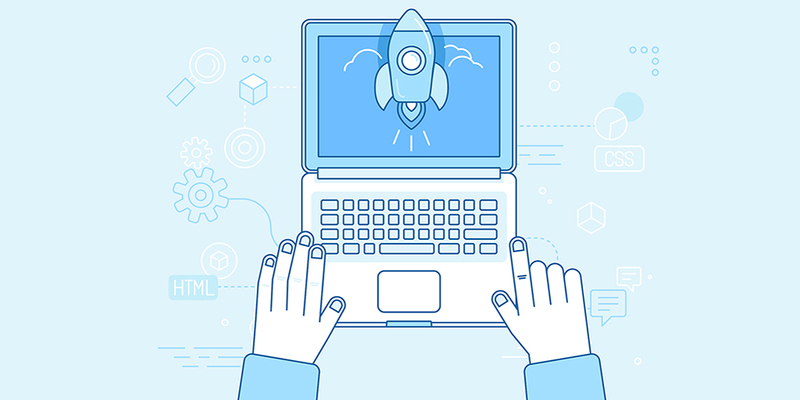 Are you just starting out with your e-commerce store? We’re sure you understand the struggle and hard work endured while making sure your product reaches the user in perfect format. Yes, you’ve packaged your product perfectly as required and now want to ship this package to the user! With a shipping software, you can easily automate the entire shipping process right from receiving the order, assigning an AWB, printing the label, and handing it over to a courier executive. Upon doing your research and groundwork, you decide to use shipping software for your e-commerce business. You go looking for one and you are surrounded by a plethora of options starting right from independent companies to courier aggregators. Now, as you have just started, how would you know how to choose the right software for your business. Leave alone right, on what basis will you make your choice? Hence, keep reading to know what are the features you look out for when making a choice for your shipping software! To make it easier, here are the questions you must ask yourself before signing up with any shipping software. What is their pin code reach? When you’re looking to ship across India, the pin code reach is the most important factor to make your choice. Since India is a vast country with many pin codes all across, you must ensure that the software caters to all these pin codes. Only then you can tap your entire market. If you opt for a courier aggregator, you must make sure that their coverage is panned India. What are the shipping rates they offer? 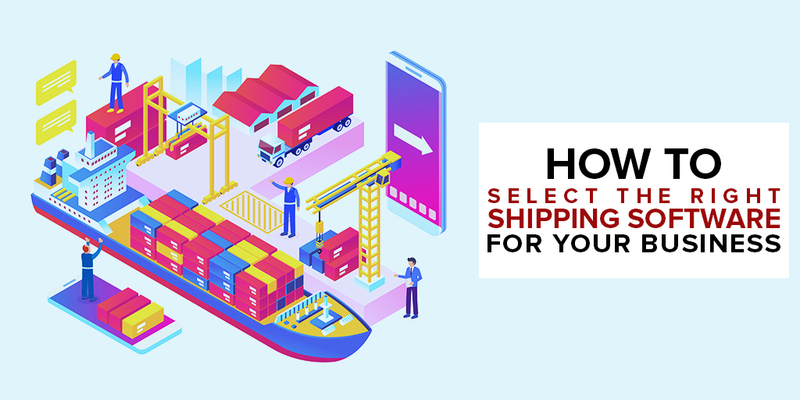 When opting for a shipping software, the shipping rates need to be reasonable as you will not have the chance to physically negotiate with any single entity. Therefore, you must opt for a software that offers you shipping at discounted rates. Also, if they are already discounted then you don’t need to devote any extra time for bargaining. With an ever-growing e-commerce market, international shipping is not something you must hold back only because you don’t have the right solution. As international trade is much easier now, you can easily tap an audience for your products overseas and with government schemes like IMES and other benefits every seller must seize the opportunity. So, your software must provide international shipping so that you can opt for it even if you plan on expanding later. Can I ship with multiple courier partners? Imagine having the option of sending your products through a courier company that is the best in that pin code area. Yes, that is precisely why your software must give you the option of shipping through different courier partners. This way you are not committed to just one carrier service and can make the right choice for your customers. Can I calculate and estimate my shipping rates? What if you’re interested in shipping a product from Delhi to Kochi but not sure if you can afford it? Or if your customer wants to know an estimate of the price and you don’t have a definite amount because the shipping rate is not certain? For such cases, a rate calculator is what will save the day. Therefore, look for a platform that offers a built-in rate calculator to help make the right decisions and prevent you from incurring any extra cost. Do they offer bulk shipping? If you are a wholesaler then yes bulk shipping is an important aspect of your business. And just spending time arranging for a bulk shipment can be a liability. Your shipping software must be able to process bulk orders within clicks and also be able to print labels and manifests at once. Will I be able to integrate my website or marketplace with the platform? If you’re selling online, you will be using a platform to do so. Could be a marketplace like Amazon or a website developed on Shopify. But any which way, you will be getting orders through them. Your software must provide you with the option of syncing your selling platform with the software so that you can directly import orders and process them directly. If this is absent, you will have to manually import each order and then practice making it an even more cumbersome process for your business and its growth. Will I be provided with an API access? If your business is very particular about its shipping requirements, then your software must offer you access to APIs. How much will I need to pay for accessing and using the platform? The cost of the platform and the services must be laid out up front. Ideally, you must be given the choice to choose from different plans that best suit your need. In what sizes can I print my labels? Your shipping software must offer you at least two options of label sizes. They must also let you print the labels on thermal paper. Do they cater to return orders? Return orders and charges also make up a huge deal for your shipments. Thus, the shipping solution must provide an RTO management system to properly organize and maintain return orders. The prices must be discounted. If they’re cheaper than forward rates then it will save you a big deal of money. Does the software provide you with data and analytics? You may be shipping 100 orders in a day but how do you keep track? How many customers have received the orders, how many orders were dispatched in a day and similar numbers need to be accessed time and again? Also, information like the time taken for parcels to deliver, the number of undelivered orders, synced orders etc needs to be accessed for faster and more refined decision making. Thus, a software that displays all is a must! What if you are a small firm right now but have plans for expansion in the future? Will your shipping software support this? It is imperative that your software accommodate the change of your business scale and can be shifted from a one-person use to an enterprise level. Hence, always be watchful of the fact that your shipping software is more forward than your business! How good is the information technology? You may need features like end-to-end tracking for your customers, message updates for yourself about delivery, label generation, non-delivery reports, Cash on delivery remittance and many other such features that require automation. Make sure you are aware that your shipping software provides you with the best automation there is to offer. Are they available to clarify your queries whenever you have any? Will the shipping software provider make sure your software runs smoothly at all times? If yes, they’re the right deal! 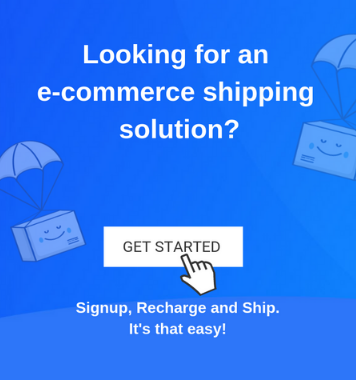 Keep in mind these factors and be rest assured to choose the perfect shipping solution for your e-commerce business! May the shipping lords always be in your favour!